Brought my Cadillac in for a coil replacement. Asked them to check which coil was misfiring. Left it with them and later returned to a 300 dollar bill for diagnosis and no coil repair. Still the same problem and was told I had to buy all 8 coils even though only one was shot. They quoted me over 600 hundred dollars for the coils and another 300 for install. Installing a coil on this car is one clip and one screw. It literally takes one minute to do. These guys are out of control. They tried to get me to pay over 1200 dollars to have a single coil repaired. This shop sees their position as a license to print money. I got a new coil from a wrecker for 30 dollars put it in myself and my SRX runs great. The only thing they did for 300 dollars is tell me that it was cylinder 6 coil. Took them 2 minutes to find that out. This service department CANNOT be trusted with your vehicle. They pick who they feel they can scam and who they cant. They chose wrong with me. We were waiting to write this review until the Penticton Community Business Awards were announced. Even though you didnt win, we sure thought you deserved it. From the minute we walked into your dealership, we were treated with respect, courtesy and honesty from your sales, insurance and finance. You made buying a car fun and less painful. We have made a few trips with our 2016 White Acadia and it ran so smoothly that I named our car "The Cloud" and when its dirty, I call it "Cloudy". Thanks Steve, we love our car. Changes in the service department over the last few months has forced me to drop them a few stars. Found ridiculous charges on my bill on three different vehicles. Charged me over 700 to replace an ignition switch on my kids car. The quote was for 300 dollars and they did not phone to inform me that they were going over budget. The car was obviously not worth spending 700 Dollars on. When Murray Buick GM stated that as a customer "you are treated like family", they really meant it. Over the past 18 month, and 3 vehicles later, I can honestly say that I have been treated with the utmost respect and taken care of above and beyond. They may be 2.5 hours away, but worth every minute of the drive. Thanks Scott and Crew! Not the most expensive dealership Ive gone to but BY FAR the worst service. I was often left standing at a desk waiting for service for ten minutes or more. Also, I find that this is one of those times you need to worry about the problems with your car being dramatized. Needing one tire replaced does not mean I need to buy four. I recently purchased a GMC Sierra from Murray Buick GMC and it was the best vehicle purchasing experience I have had. The salesman, Simon, was very knowledgeable and responsive, and the sales manager was equally responsive. The price for my trade in was very fair and the delivery of the vehicle was quick and efficient. I was on holidays in beautiful Penticton area. I noticed my truck wasnt steering quite right so I called up Murray GMC , I spoke with Lance he got me in right aways and got me looked after the same day. The service that I got from Lance was way more than 100% great Job . thank you very much. Even with an appt. It took them 2and a half hours for a simple wheel inspection. New vehicles came and went. Mine being 16 years old waited and was pushed aside while the new vehicle customers came and went in a reasonable time. My business was unimportant. I will not go back. It would have been nice to have recieved a phone call letting me know the diagnosis. I had to call the next day. Truck was fixed when they said it would be. A little disappointed that the truck wasnt washed. Most dealerships do courtesy washing. The best experience I ever had buying a vehicle. No pressure and great support from the sale, financing and parts departments. Myles did an awesome job getting my wife and I into an amazing truck at a great price. Cheers. Very good customer service. As a former dealership employee and an industry professional, full marks are earned and awarded! Thanks to all who helped me along the way. Excellent work. Had an awesome experience at Murrays in Pen (for the second time). Logan and RJ took good care of me, love the new whip thanks guys! I have sent two requests for service through there web site with no response. Finally had to call to make an appointment. 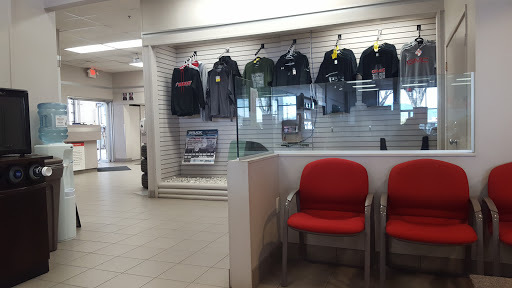 Something has changed in the atmosphere of the service department, vehicles are valued a little high. Bought four trucks and the travel trailer from the dealership no regrets good customer service. Friendly and knowledgable service staff. Very positive experience, highly recommended. They fixed one of our company trucks and it seemed reasonable. Friendly people there. Service was good...but things went missing out of my vehicle while in their care !! Great Team here! Fair deals, great service & the best body shop in the Okanagan! All around great service . all so great complimentary meal. A great experience. Dont bother with the online service request. They dont respond. Friendly staff with a huge selection of vehicles!! They were efficient and got my vehicle done fast. Great service, never had an issue yet.